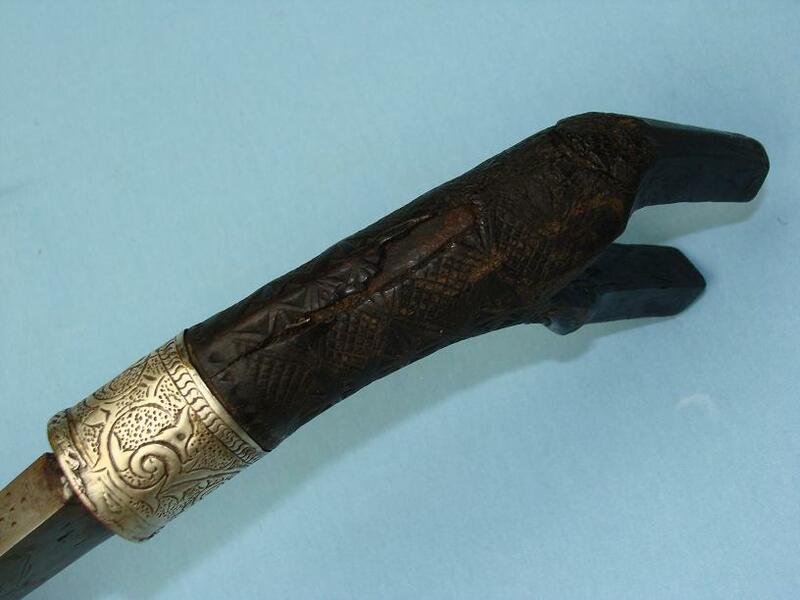 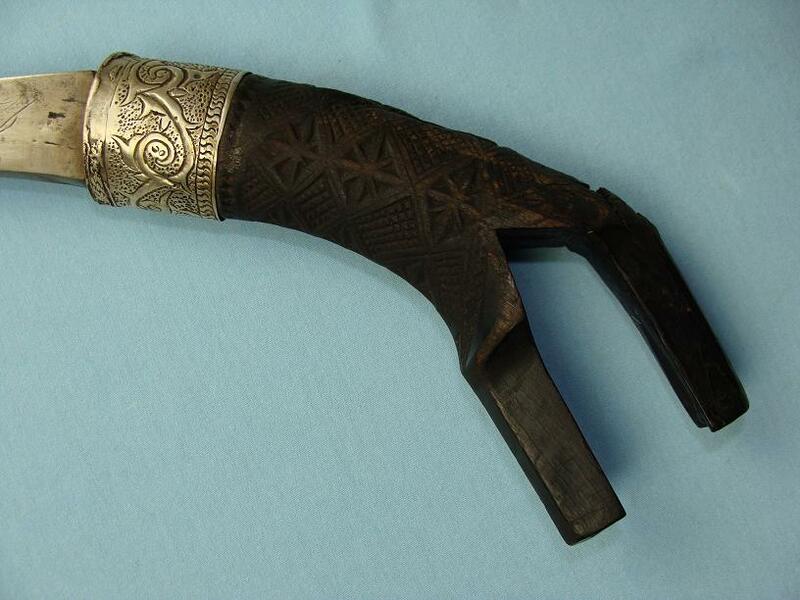 A very nice Amanremu, Carved hilt, decorative blade, Kelling Hall collection. 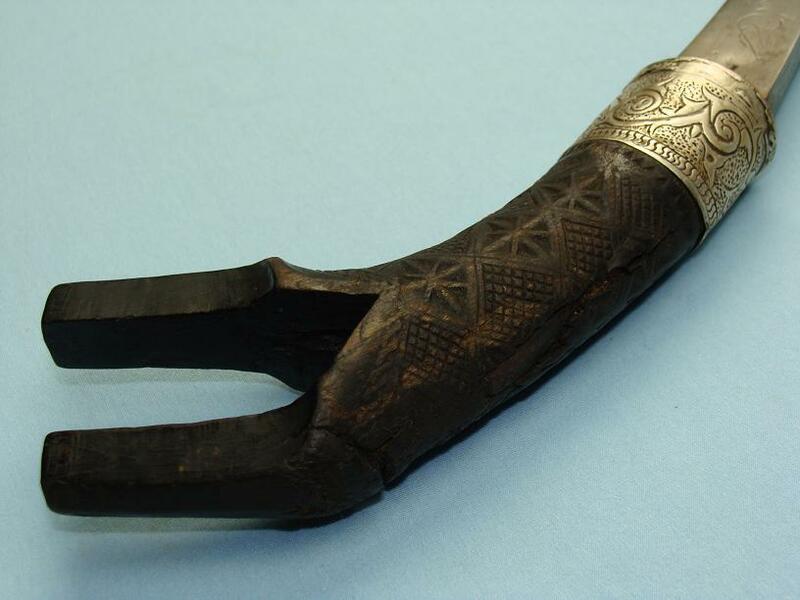 A beautiful Amanremu with unusual tribal markings the blade and hilt. 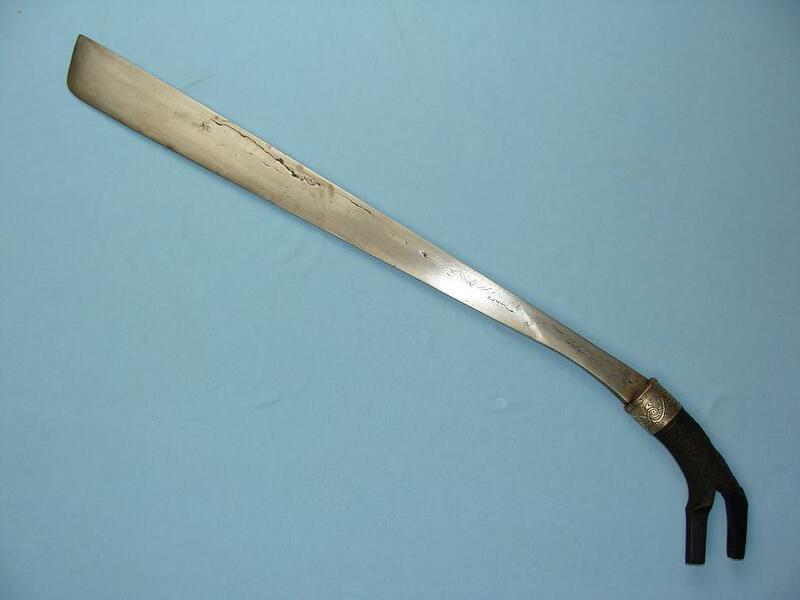 Overall this piece is 64cms long with a blade 51cms long.The hilt is finely carved with sunburst motifs and checkered patterns. 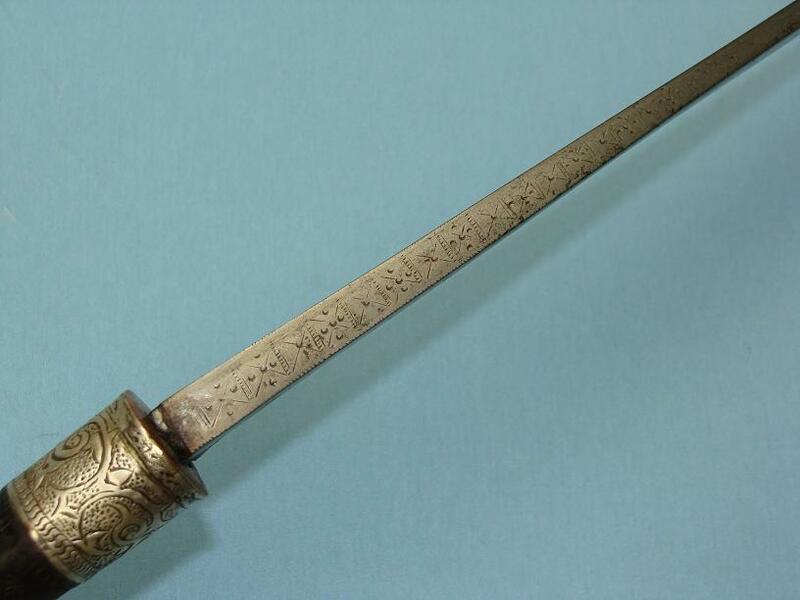 The hilt has with age or original manufacture, protruded slightly through the top of the hilt. 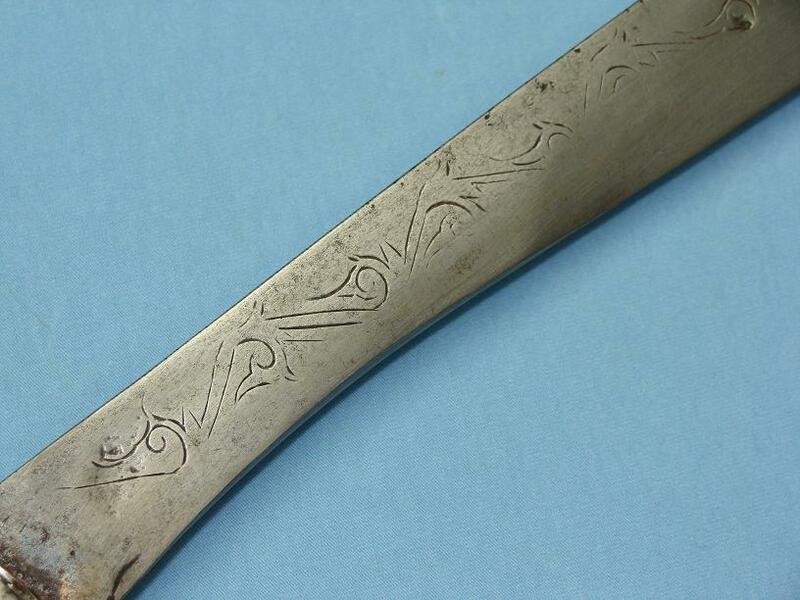 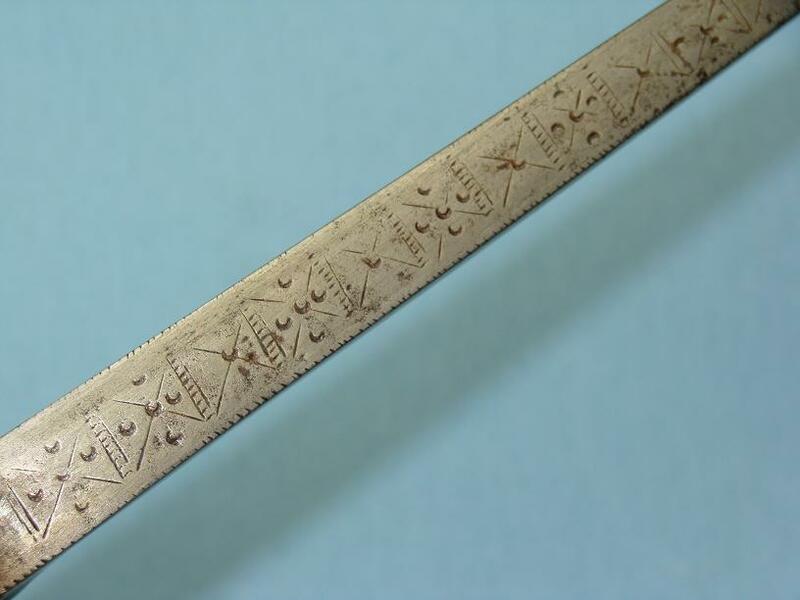 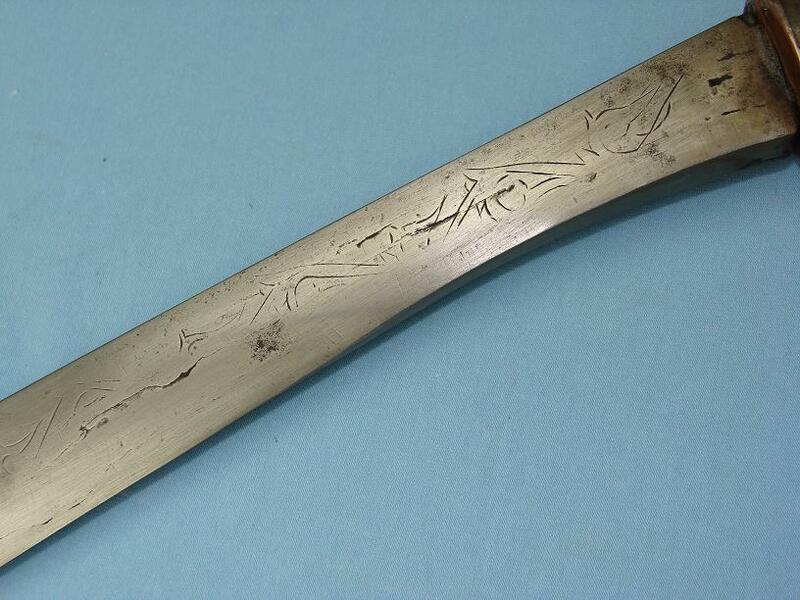 The blade shows tribal motifs to both sides of the blade in the forte and along the spine are differing motifs running in to a chevron pattern. 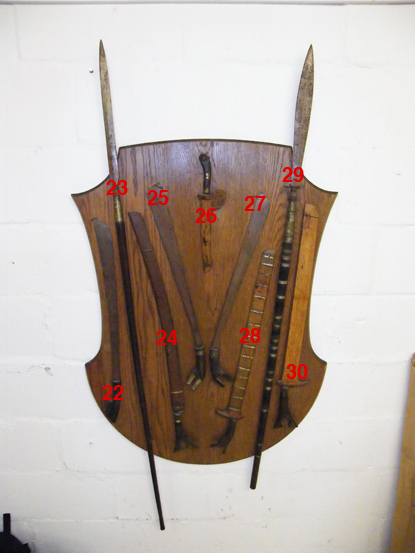 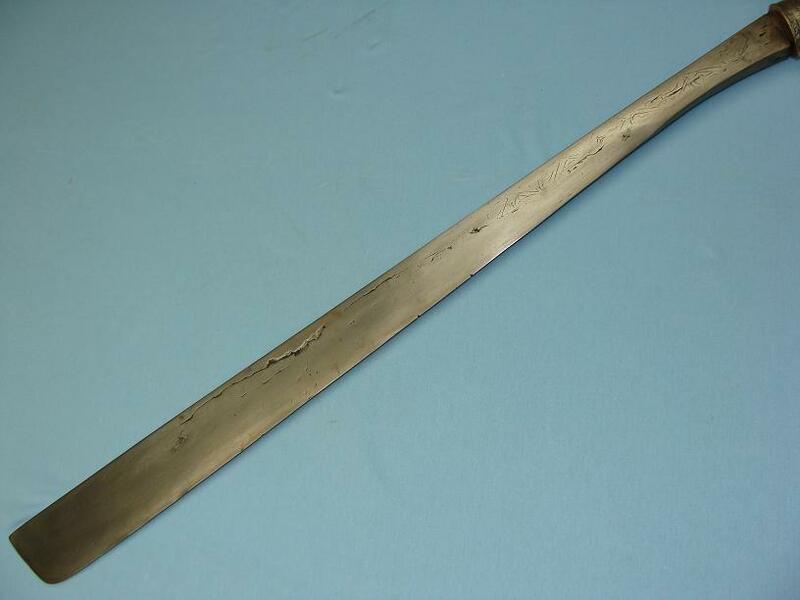 A good rare fighting sword on nice proportions with fantastic provenance.